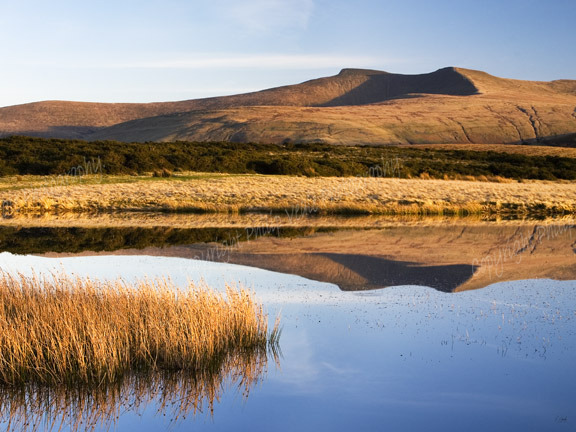 Philip Veale Photography: Reflection of Pen Y Fan and Corn Du. Reflection of Pen Y Fan and Corn Du. A perfect reflection of Pen y Fan, the highest peak in the Brecon Beacons National Park at the end of a calm spring day.